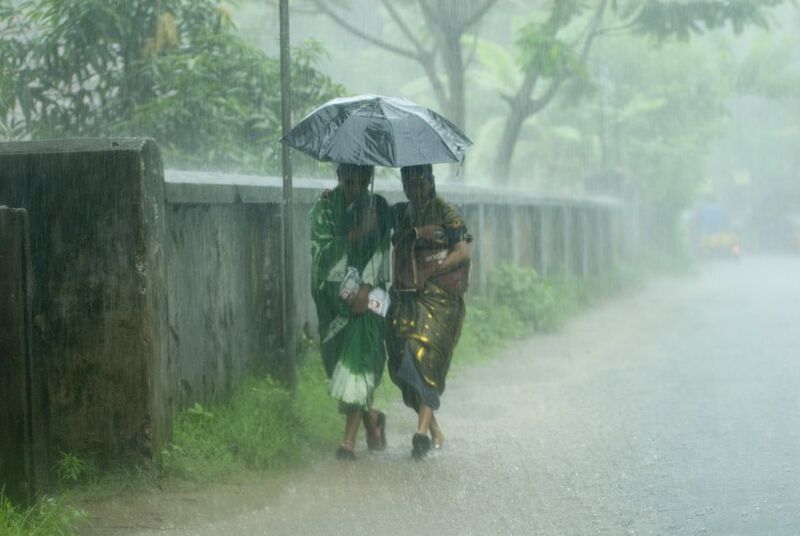 The monsoon season in India is a refreshing time, as rain brings welcome respite from the grueling heat. However, staying healthy requires particular care to be taken. The rain and water lying around makes it easy for mosquitoes to breed and increases the risk of mosquito transmitted infections, such as malaria and dengue fever. Viral infections are also common. In addition, the high humidity can contribute to numerous skin diseases and fungal infections. Chronic skin conditions such as eczema, acne and psoriasis tend to worsen during the monsoon season. The climate is also ideal for fungus to thrive. If you’re fond of street food, the rainy season isn’t the time to indulge. Pollution of water and raw vegetables is very common during the monsoon. You can easily fall ill from contaminants. Apply a strong insect repellent to keep mosquitoes away and prevent getting bitten. It's also a good idea to take anti-malarial drugs during this time of year, as malaria is at its most prevalent. Where possible, try to avoid walking through dirty water. Besides leptospirosis, it can lead to numerous fungal infections of the feet and nails. Also avoid walking where water is lying on the road, as traffic will drive by and spray it all over you. Dry your feet whenever they get wet. Don't continue to wear wet socks or wet shoes! If you get drenched in the rain, add three caps of disinfectant Betadine to a bath to avoid skin problems. Keep your skin clean by bathing twice a day. The humidity can cause a buildup of sweat and dirt, along with other toxins, on the surface of the skin. Avoid colds and coughs by keeping your body warm and dry. Don’t enter air conditioned rooms with wet hair and damp clothes. Avoid wearing tight clothing or clothing made out of synthetic fabric. Stick to pure cotton or linen. Use anti-fungal talc to prevent accumulation of sweat and moisture in skin folds. If prone to fungal infections, use a medicated powder such as Mycoderm. If you suffer from asthma or diabetes, avoid staying anywhere with damp walls. It promotes the growth of fungus and can be especially harmful. Drink lots of warming herbal teas, especially those with antibacterial properties. Take Vitamin C to boost your immune system and help fight off infections. Children's skin is particularly vulnerable during the monsoon season. Impetigo is a contagious skin infection that causes red sores that can break open, ooze fluid, and develop a crust. The sores usually appear around the mount and nose. Scabies, from mites, is also common during the monsoon and produces itchy skin. It's important to visit a dermatologist to get these conditions treated before they spread. Visiting India during the monsoon season? Here's a useful India Monsoon Season Packing List.